The geomagnetic field was at predominantly quiet to unsettled levels. High latitudes experienced periods of active conditions due to a weak recurrent high speed stream coronal hole. Solar wind speed ranged between 387 and 495 km/s, the planetary A index was 10. The geomagnetic field was at quiet to unsettled levels. Solar wind speed ranged between 374 and 469 km/s, the planetary A index was 9. The geomagnetic field was at quiet to slightly unsettled levels. Solar wind speed ranged between 343 and 434 km/s, the planetary A index was 7. The geomagnetic field was at quiet to unsettled levels. Solar wind speed and the total field of the interplanetary magnetic field increased slowly after 12h UTC as a fairly low speed coronal stream began to dominate the solar wind. This coronal hole related stream increased in intensity after 02h UTC on December 5 with the IMF swinging strongly southwards. 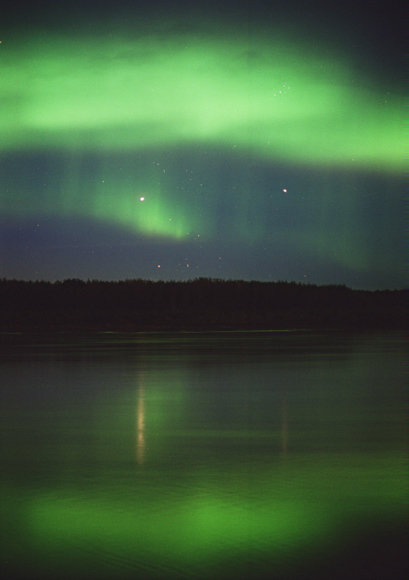 Solar wind speed ranged between 327 and 379 km/s, the planetary A index was 9. The geomagnetic field ranged from quiet to major storm levels. A ten hour period of southward Bz, together with solar wind speed near 475 km/s produced minor storm levels for most of the day. At approximately 02:00 UTC the total field measurement of the interplanetary magnetic field (IMF) increased to 20 nT. The Bz component of the IMF, after an initial northward direction, turned southward for nearly ten hours, then began a north-south oscillation. This signature is similar to that of a co-rotating interaction region preceding the onset of a high speed stream, but may include transient effects from a faint halo CME that occurred on December 2. Solar wind speed ranged between 348 and 526 km/s, the planetary A index was 43. 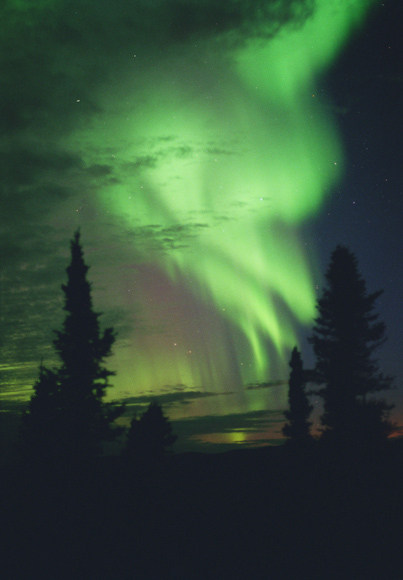 The geomagnetic field varied from quiet to major storm levels. Solar wind speed ranged between 433 and 662 km/s, increasingly under the influence of a high speed coronal stream. The planetary A index was 39. The geomagnetic field was at unsettled to minor storm levels. 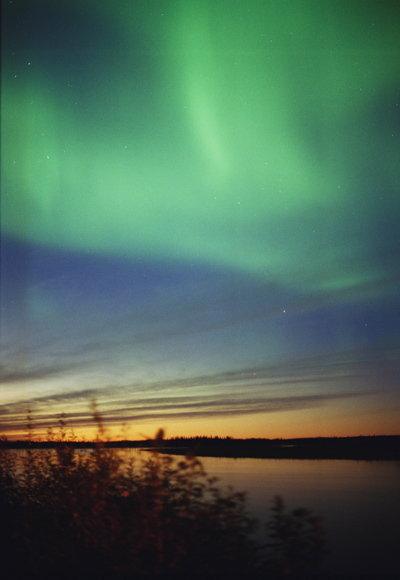 Solar wind speed ranged between 580 and 762 km/s under the influence of a high speed coronal stream. The planetary A index was 31. The geomagnetic field was at active to major storm levels. Solar wind speed ranged between 586 and 879 km/s under the influence of a high speed coronal stream. The planetary A index was 42. The geomagnetic field has been at unsettled to major storm conditions. 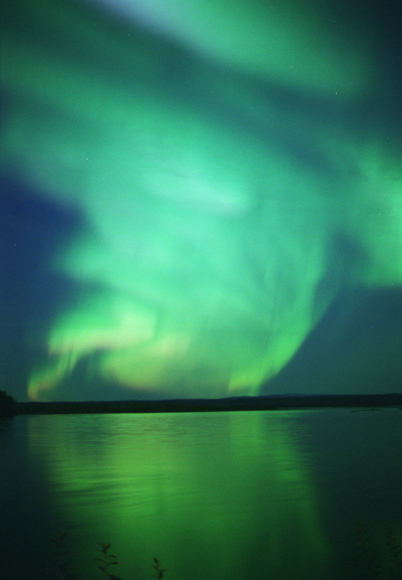 Solar wind speed ranged between 718 and 860 km/s under the influence of a high speed coronal stream. The planetary A index was 40. The geomagnetic field has been at unsettled to minor storm levels. 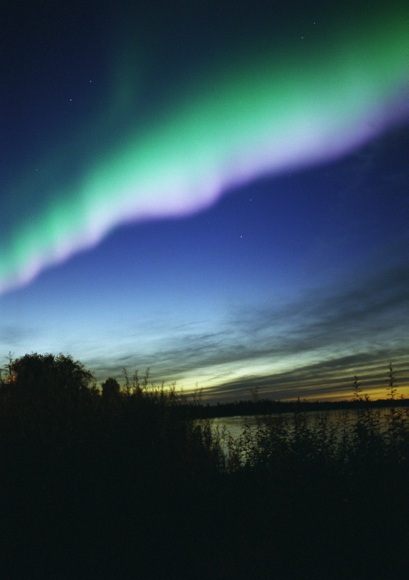 Solar wind speed ranged between 647 and 817 km/s under the influence of a high speed coronal stream. The planetary A index was 23. The geomagnetic field was at unsettled to minor storm levels. Solar wind speed ranged between 619 and 853 km/s under the influence of a high speed coronal stream. The planetary A index was 28. The geomagnetic field has been at unsettled to minor storm levels. Solar wind speed ranged between 631 and 862 km/s under the influence of a high speed coronal stream. The planetary A index was 25. The geomagnetic field was at quiet to unsettled levels. Solar wind speed ranged between 407 and 497 km/s, the planetary A index was 10. The geomagnetic field was at quiet to unsettled levels. Solar wind speed ranged between 292 and 353 km/s, the planetary A index was 7. The geomagnetic field was at quiet to active levels. Solar wind speed ranged between 304 and 490 km/s, generally increasing all day under the influence of a high speed coronal stream. The planetary A index was 16. The geomagnetic field was quiet to unsettled. The coronal hole high speed stream has now rotated out of a geoeffective position. Solar wind speed declined from a maximum of near 650 km/s to approximately 500 km/s at the end of this period.